Indy provides fast, reliable proofreading and copy editing services to UK businesses. Is your content really as polished as it can be? When it comes to creating the best quality content, there’s no substitute for a fresh pair of eyes. Our professional copywriters have years of experience in editing and proofing copy for a huge range of companies, so you can trust that your proofreading project is in the best possible hands. We specialise in editing and proofing website content, but our writers can also cast their expert eyes over text created for business reports, training documents, CVs and various other resources. Though both terms are often used interchangeably, there’s actually a significant difference between copy editing and proofreading. One discipline handles typing errors, poor grammar, consistency and accuracy, while the other focuses on tidying up the text and correcting any issues with the layout. By combining both services into one, Indy can provide you with the most comprehensive solution available. But the question is, why should everyone – even start-ups and smaller businesses – invest in proofreading services? Well, anyone who regularly writes content will know that it’s often difficult to look at their own work from a critical viewpoint. 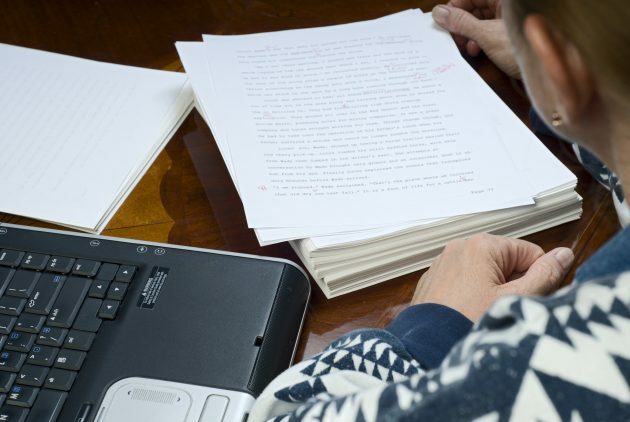 A professional copy editor will look at the text objectively, considering everything from spelling, punctuation and grammar through to the overall tone and style of the writing. This is particularly important if a company regularly distributes a lot of content from different writers. They will make sure that the content adheres to brand guidelines and they will flag up any inaccuracies or incorrect information. All of this vital behind-the-scenes work will lead to the development of flawless content that will make a great impression on any target audience. Read on for a little more information on how we deliver our proofreading and editing solutions. First of all, we’ll need to speak to you to establish your requirements. You can call us to discuss the project in more detail, or simply email across your documents so we can take a look. We’ll then provide you with a quote. The final price for our proofreading service will depend entirely on what’s required. Unlike other proofreading companies, we don’t charge per word – we’ll quote you a flat fee for your project, helping you to keep costs down and plan your spend. Your turnaround time will be factored into the final cost. All of our content changes will be highlighted using the Track Changes feature in Microsoft Word, so you can see exactly which sections have been amended and there’s no need to re-type any of our recommendations. We can edit your website directly if required, but most of our clients prefer to review and approve our changes before the text is published. All of our client’s work is 100% confidential and your copy will never be shared with any third party. If your editing project is particularly sensitive, we are happy to sign a non-disclosure agreement to give you complete peace of mind. To learn more about our proofreading services, and to receive your bespoke quote, contact us today. Enquire today for more information on our proofreading services.